It is one important factor while choosing a VPN service. 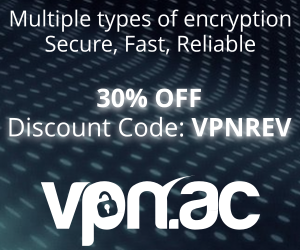 After determining your online security needs, you must consider VPN packages of reputed vendors meeting your needs yet falling within your budget.There are many providers offering affordable packages ranging from $5 to $ 20 per month. Most of (if not all) VPN providers will allow you to pay for a full years’ service rather then a monthly subscription, lowering the overall costs. The top VPN providers accept a range of payment methods, from the ubiquitous PayPal to Paysafecard, Western Union or Bitcoin. If you are looking for creditable VPN , it means that you are feeling unsure about the safety of your data while surfing online. In this regard, you must ensure what protocols are offered by the provider. If your requirements need stringent security, you should see whether the provider offers VPN solutions supported by protocols like L2TP, Ipsec, SSL etc. In case you are opting for VPN to access streaming sites like Netflix, Hulu, BBC, Pandora etc., PPTP would suffice. Having multiple layers of encryption between your device and the server providing the content does not mean that VPN services are well suited for illegal activities such as P2P file sharing. A VPN connection is secure between client and server, but from the VPN server to the web-sites you visit, the connection is not secure, unless you access the sites via HTTPS. Also keep in mind that some VPN protocols are more secure than others, while some protocols provide faster download speeds than others. This is the most important factor to consider while looking for a VPN provider. You must ensure that he should have got adequate technical infrastructure. You must inquire whether your provider keeps log of your browsing activities. Never take the services of the vendor who does this as it defeats the very purpose of using a VPN service. A large number of people in Internet-censoring countries like China, Saudi Arabia, Kuwait, Syria , etc, subscribe to VPN services to bypass the restrictions imposed by local firewalls. It is possible only if the provider has got servers based in other countries. Using this feature of VPN, expats would also be able to access Geo-restricted sites of their choice like Netflix, Hulu, Pandora etc. Some countries are also “friendlier” when it comes to P2P file sharing, in case you are looking to use a VPN service to download copyrighted content.